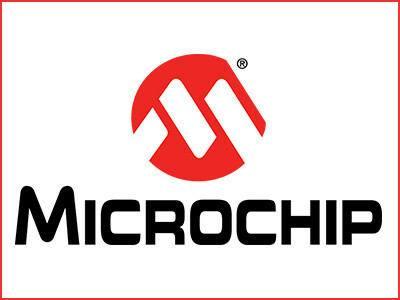 Microchip Technology Inc. announces a flexible dual-mode power monitoring IC that measures both AC and DC modes with industry-leading accuracy of 0.1 percent error across a wide 4000:1 range. Power calculations and event monitoring are included with a single IC, reducing bill of materials cost and firmware development time. The MCP39F511A power monitoring IC is a highly integrated device that addresses the growing need for more accurate power measurements in high-performance designs. Power monitoring has become more prevalent in growing markets such as smart cities and smart homes as developers look to monitor product performance and improve energy usage. To simplify calibration procedures and support most accuracy requirements, two 24-bit delta-sigma Analogue-to-Digital Converters (ADCs) with 94.5 dB of signal-to-noise ratio plus distortion (SINAD) performance and a 16-bit calculation engine are included. 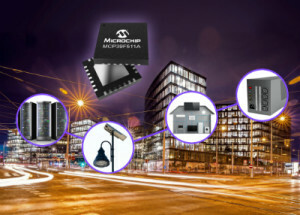 Suitable for a range of consumer, Internet of Things (IoT) and industrial applications, the MCP39F511A automatically senses power supply types and switches between AC and DC modes, optimizing measurement results. The device also helps developers troubleshoot issues with an on-chip EEPROM that logs critical events, as well as an integrated low-drift voltage reference and internal oscillator to reduce implementation costs. Other benefits of using the MCP39F511A include its flexibility and ease of implementation. The device provides standard power calculations such as active, reactive and apparent power, active and reactive energy, root-mean-square (RMS) current and voltage, line frequency and power factor, which enable designers to easily add highly accurate power monitoring functions to end applications with minimal firmware development.